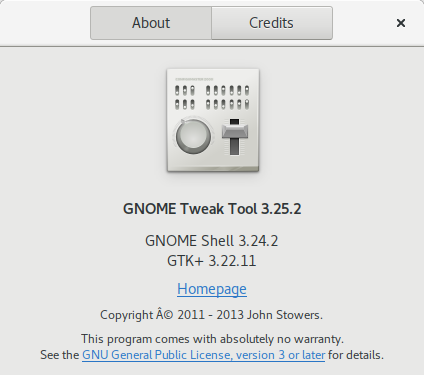 Today I released the second development snapshot (3.25.3) of what will be GNOME Tweak Tool 3.26. 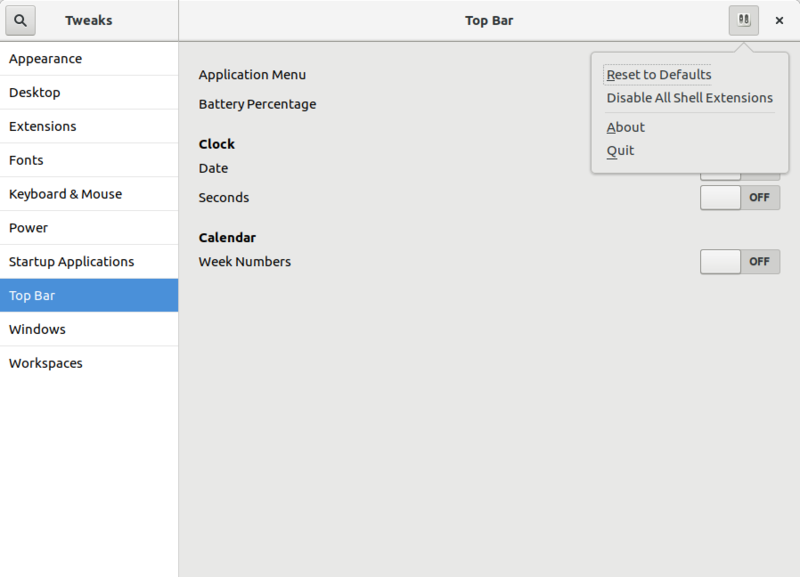 I consider the initial User Interface (UI) rework proposed by the GNOME Design Team to be complete now. 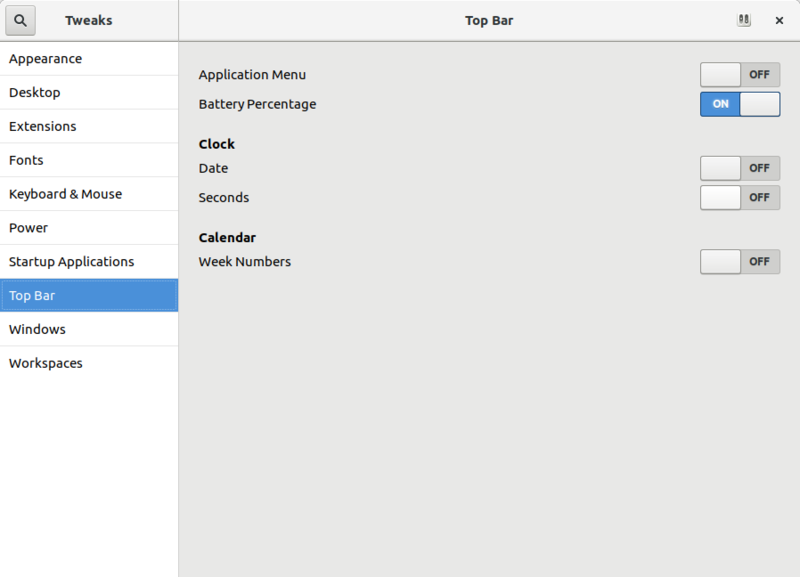 Every page in Tweak Tool has been updated, either in this snapshot or the previous development snapshot. The hard part still remains: making the UI look as good as the mockups. Tweak Tool’s backend makes this a bit more complicated than usual for an app like this. Here are a few visual highlights of this release. 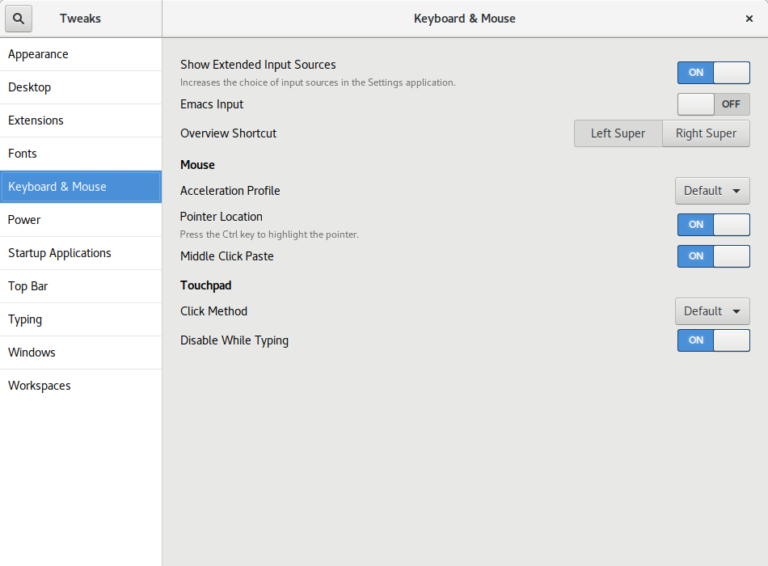 The Typing page has been moved into an Additional Layout Options dialog in the Keyboard & Mouse page. 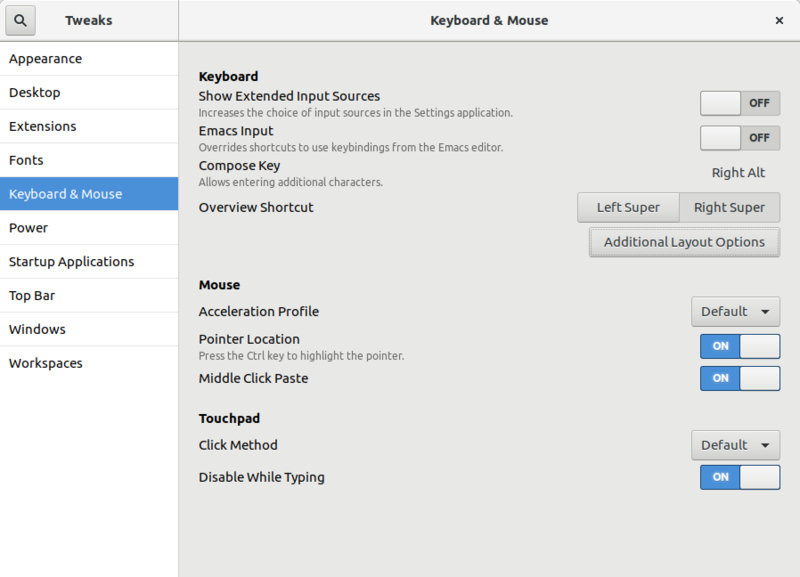 Also, the Compose Key option has been given its own dialog box. 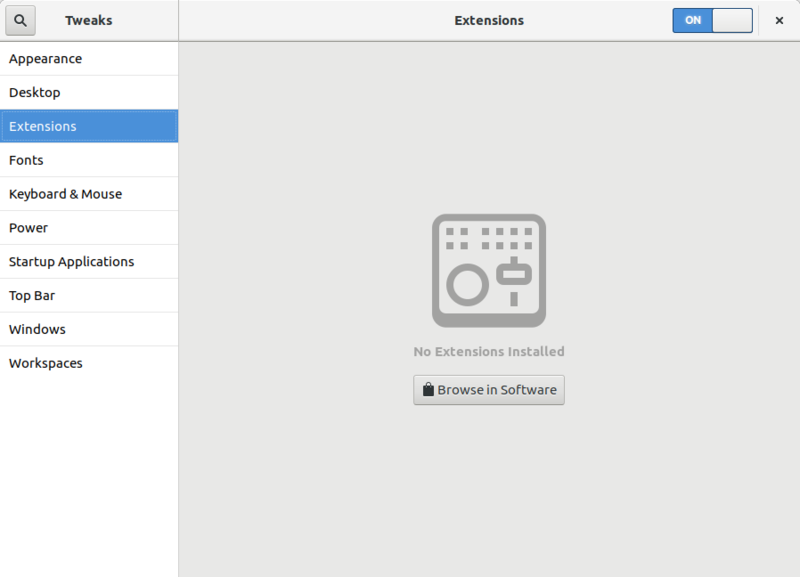 Florian Müllner added content to the Extensions page that is shown if you don’t have any GNOME Shell extensions installed yet. A hidden feature that GNOME has had for a long time is the ability to move the Application Menu from the GNOME top bar to a button in the app’s title bar. 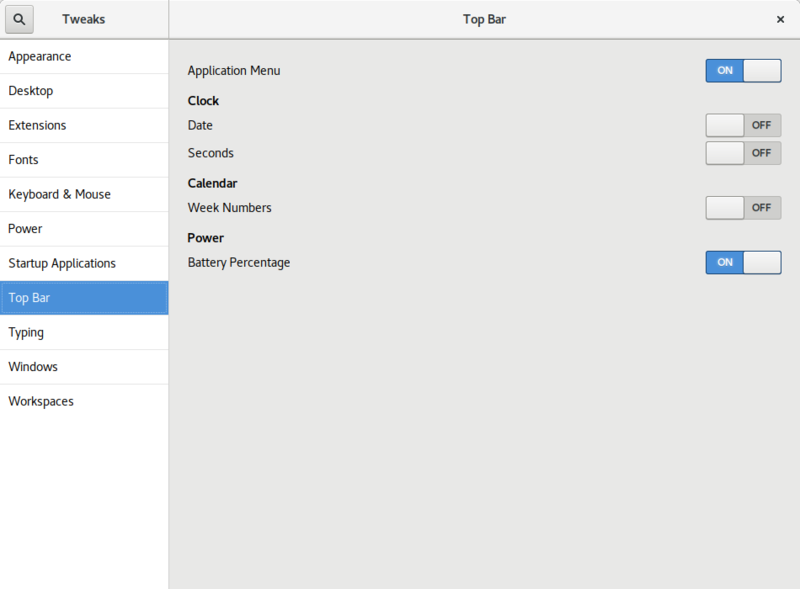 This is easy to enable in Tweak Tool by turning off the Application Menu switch in the Top Bar page. This release improves how well that works, especially for Ubuntu users where the required hidden appmenu window button was probably not pre-configured. Some of the ComboBoxes have been replaced by ListBoxes. 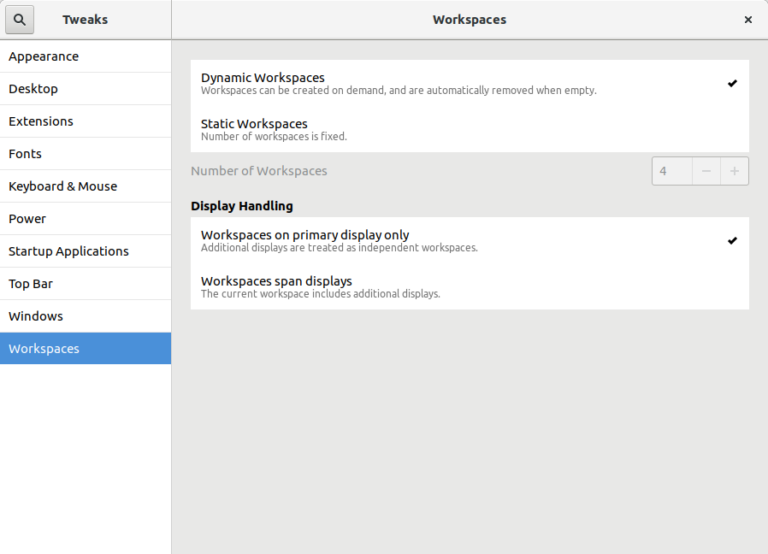 One example is on the Workspaces page where the new design allows for more information about the different options. The ListBoxes are also a lot easier to select than the smaller ComboBoxes were. For details of these and other changes, see the commit log or the NEWS file. Debian 9 “Stretch”, the latest stable version of the venerable Linux distribution, will be released in a few days. I pushed a last-minute change to get the latest security and feature update of WebKitGTK+ (packaged as webkit2gtk 2.16.3) in before release. Carlos Garcia Campos discusses what’s new in 2.16, but there are many, many more improvements since the 2.6 version in Debian 8. Like many things in Debian, this was a team effort from many people. Thank you to the WebKitGTK+ developers, WebKitGTK+ maintainers in Debian, Debian Release Managers, Debian Stable Release Managers, Debian Security Team, Ubuntu Security Team, and testers who all had some part in making this happen. 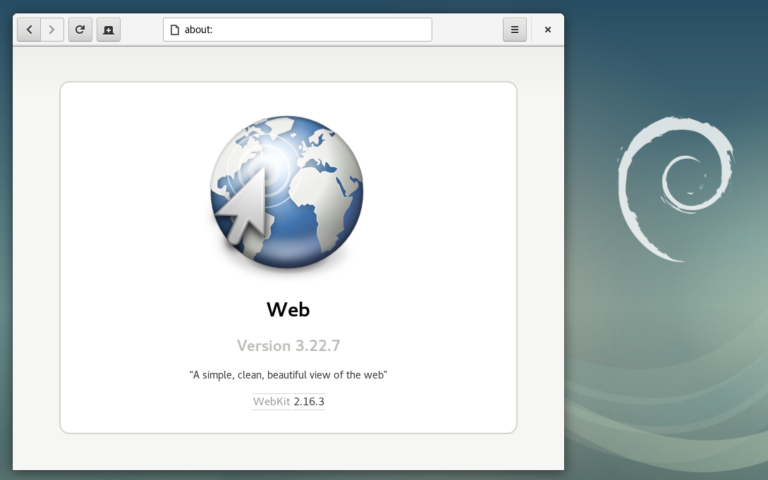 As with Debian 8, there is no guaranteed security support for webkit2gtk for Debian 9. 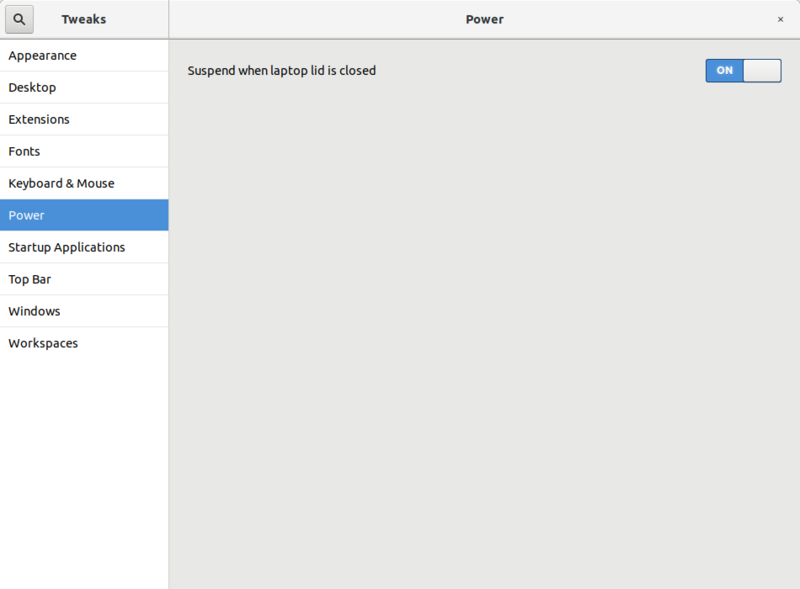 This time though, there is a chance of periodic security updates without needing to get the updates through backports. If you would like to help test the next proposed update, please contact me so that I can help coordinate this. What would you do if you were a brand new Ubuntu user and had a problem with your computer or wanted to learn how to use it better? Perhaps you’d try searching on the Internet, but what happens if you don’t have an Internet connection? Also, the Internet isn’t really organized, and if you’re new to Ubuntu it’s probably pretty difficult to tell the difference between wrong information and the right answers. If you type help into Ubuntu’s dash, you can find the Ubuntu Desktop Guide, which is a really awesome resource. (And it’s also available online at https://help.ubuntu.com/ ) A lot of the built-in help comes straight from GNOME documenters who have done amazing work in the past two years. Of course, GNOME uses GNOME Shell by default and Ubuntu uses Unity, so in order for the Ubuntu help to be, well, helpful, we have to make our own derivative version of the GNOME Desktop help. 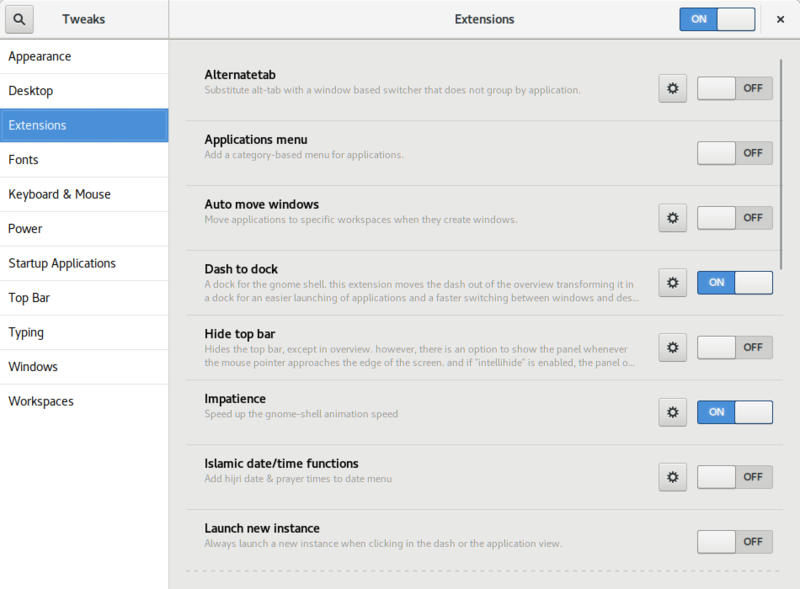 The Ubuntu Desktop Guide is completely community maintained and that’s why I’m blogging today. We can use more help in finishing the guide for Precise. We just got a freeze extension, but the new deadline to finish writing and editing content is only one week away! 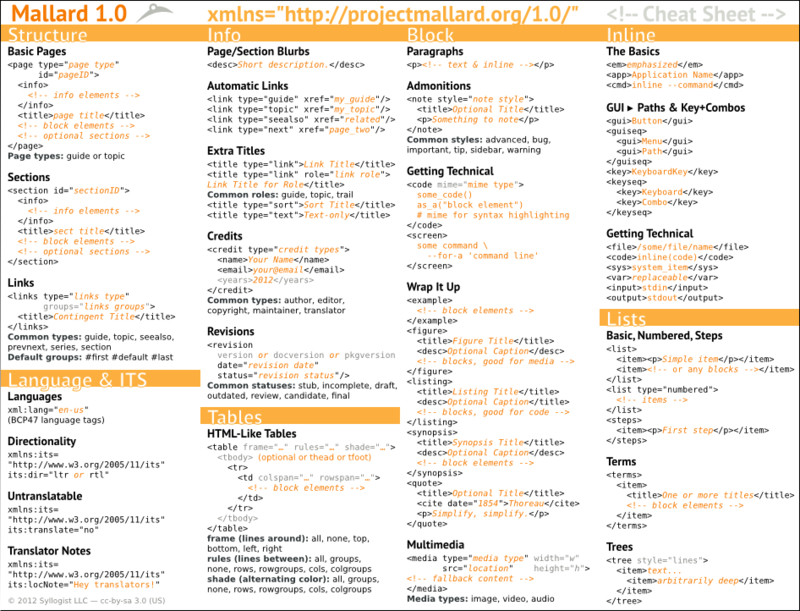 Ubuntu-docs are written in Mallard, an XML format. You can edit the .page files in your favorite Text Editor. For more info about Mallard, see the home page or this one page guide. For the full list or brainstorming other ideas, see the pad. Contributing to documentation is not necessarily easy but it is appreciated. It requires the ability to express yourself clearly in English and explain a user interface simply but with enough detail to not confuse readers. It requires skills in version control, problem solving, and a bit of how XML works. 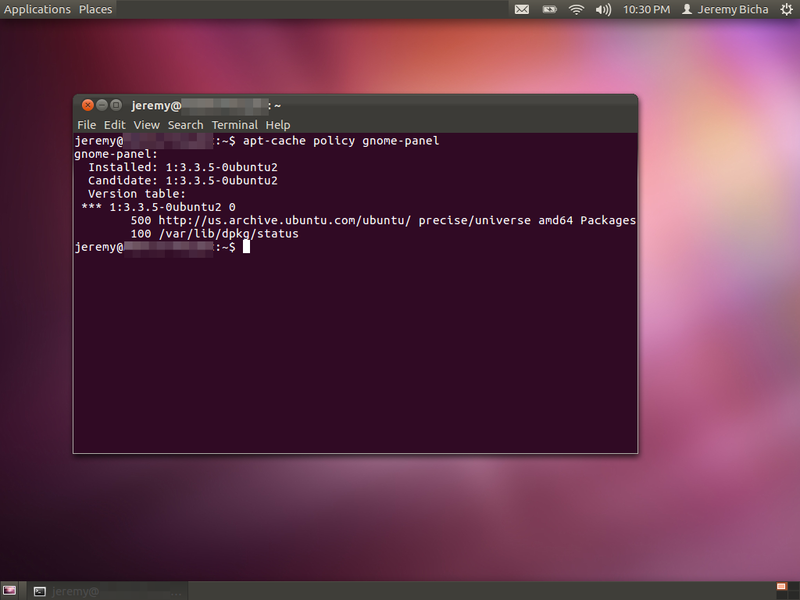 It is a great way to get involved in Ubuntu development without needing to be a C guru. If you’re interested in volunteering, you can express your interest either on the pad, IRC (we’re in #ubuntu-doc ), or the mailing list. Although a bit out of date, you probably want to check out our wiki too.